All items in my Etsy store is hand made by me. 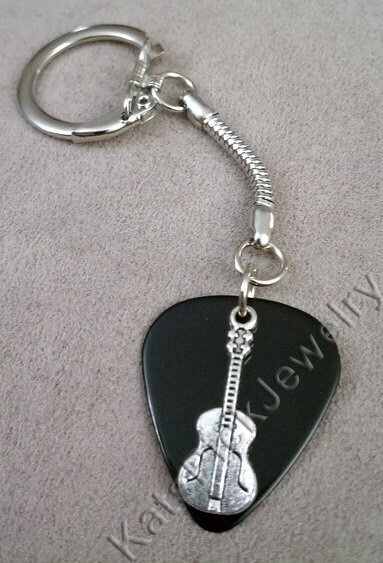 I have long had a passion for live music and have collected many guitar picks over the years. I always thought they were little pieces of art that would make great jewelry. Thus Kat's Pick Jewelry was born! Everything in my Etsy store is modular...choose your pick, charm (or you can do without), and necklace, bracelet, or earrings, and I'll make it for you. I love doing custom work, so feel free to inquire! If you need a higher quantity, just message me and I'll make a special listing!